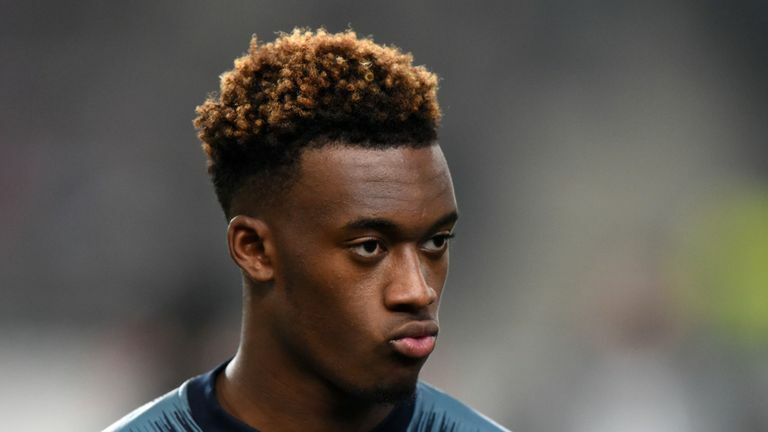 As the January transfer deadline looms, Callum Hudson-Odoi continues to be linked with a move from Chelsea to Bayern Munich, while West Ham’s Reece Oxford has emerged as a target for Eintracht Frankfurt. The trend of young English talent going overseas looks likely to continue. Jadon Sancho is the headline star attracting much of the attention given his sensational form for Borussia Dortmund. His performances have not only helped propel his club to the top of the Bundesliga but also earned him senior England recognition. But he is not alone. The loan move from Arsenal to Hoffenheim was a success right from the start for 19-year-old Reiss Nelson. He came off the bench to score on his debut against Fortuna Dusseldorf and then repeated the trick in his first home appearance against Eintracht Frankfurt. Further goals against Nuremburg, Bayer Leverkusen and Augsburg have taken his tally to six for the season, having started only five Bundesliga games. Sadly, Nelson's Champions League adventure is over with Hoffenheim after the club finished bottom of their group. Another youngster out on loan is Liverpool's Sheyi Ojo who is getting top-flight experience in France with Reims. He has mainly been used as an impact substitute for the newly-promoted side, with 10 of his 13 league appearances coming from the bench. Ojo was an unused substitute in the win away to Guingamp at the weekend as Reims continued the good form that has lifted them into the top half of the table. The talented dribbler will be anxious for more opportunities in the second half of the campaign. After three seasons on loan at Celtic, Manchester City's relationship with Girona helped to secure Patrick Roberts the opportunity to play in La Liga this season. The 21-year-old winger has made 10 appearances in the competition so far, four of them from the start. Roberts is yet to score but he did start the memorable win away to Valencia and the home draw with Atletico Madrid. Unfortunately, he picked up a hamstring injury at the start of December and is yet to make his return following the winter break. There is no doubt that Jadon Sancho has been a revelation for Borussia Dortmund this season. Only Lionel Messi and Eden Hazard have provided more assists in Europe's top five leagues with Sancho also adding six goals to his nine assists for the league leaders. The 18-year-old winger also scored a Champions League goal in the 4-0 win over Atletico Madrid in October but the highlight of his time at Dortmund surely came in December when Sancho scored what turned out to be the winning goal in the derby away to Schalke. There is English representation in every one of the major European leagues thanks to Ronaldo Vieira's summer switch from Leeds to Sampdoria. The 20-year-old midfielder has made four Serie A appearances so far this season with two of them coming from the start. His debut came in a 3-0 win over Napoli and that first start was against Roma in front of 37,582 fans in the Stadio Olimpico. However, since a Coppa Italia appearance at the start of December, Vieira has been an unused substitute in each of Sampdoria's last eight games.